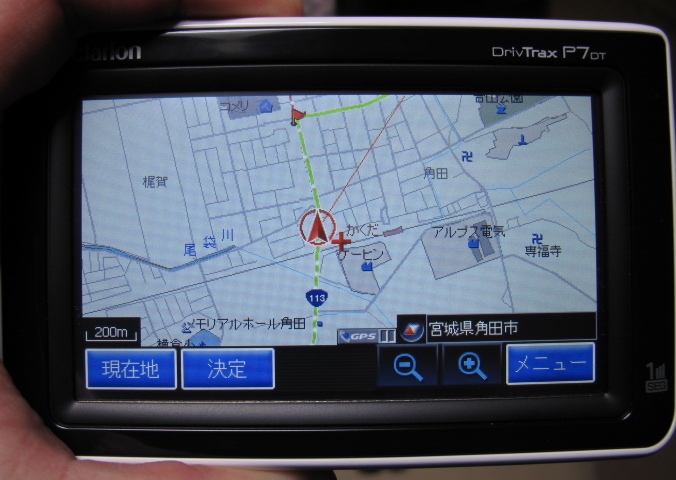 Last weekend we went to Yellow Hat and bought a Clarion car navigation. Japan has no street names for the most part, and a nonsensical way of determining addresses. Add to this tiny side street, and you have a ton of ways to get lost, so it’s a good item to have with you. It’s a hand held model so you can also take it walking with you. Even though the menus are all in Japanese, I was able to figure them out really quickly. It gives directions really clearly, letting you know where to go way in advance. Even showing which lane you should be in. 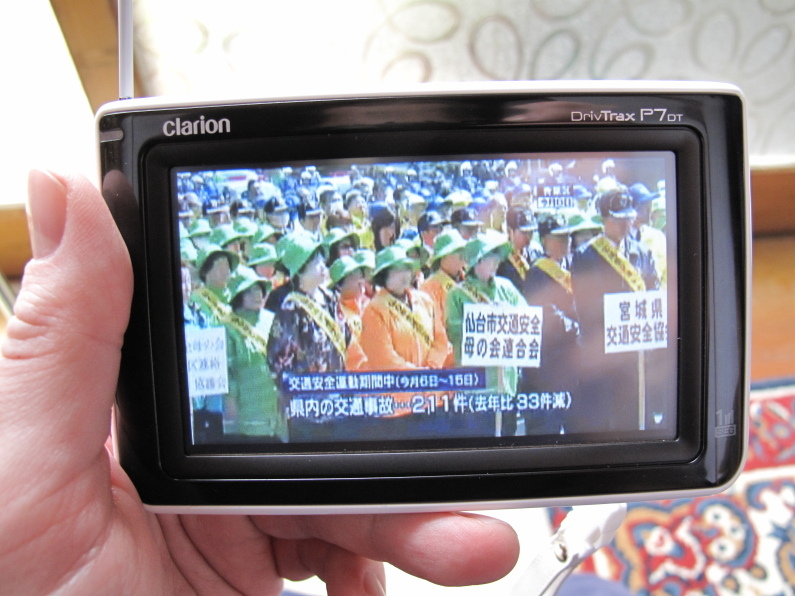 It can also play MP3s, some video files, and you can watch 1 seg TV on it too.